One of three law enforcement officers injured in a fatal shooting in Colorado Springs, CO, Monday afternoon has been released from the hospital. Deputy Micah Flick was killed in the shooting. The El Paso County Sheriff's Office said Sergeant Jake Abendshan was treated and released from the hospital Monday night. Deputy Scott Stone and an unidentified Colorado Springs police officer remained hospitalized, reports KMGH. 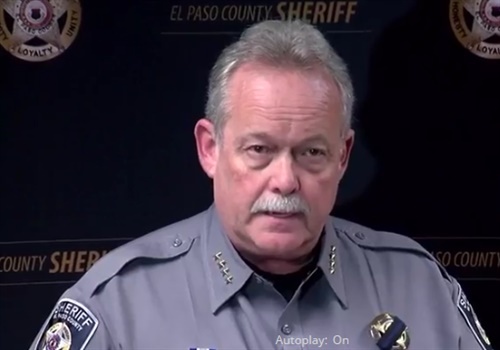 In a news conference Tuesday morning, El Paso County Sheriff Bill Elder said Stone was recovering from a gunshot wound to the abdomen that did not appear to be life-threatening. The law enforcement officers were part of a group investigating a motor vehicle theft at the Murray Hill apartments in the area of Galley Road and Murray Boulevard when the shooting occurred around 4 p.m. Monday. Colorado Springs Police Chief Pete Carey said there was a struggle after officers began talking to the unidentified suspect about the stolen vehicle and gunfire erupted. All the officers were in plain clothes but wore bulletproof vests and identified themselves as officers of the law, Elder said. Deputy Micah Flick, an 11-year-veteran of the El Paso County Sheriff's Office was killed in the shooting. The suspect, who has not yet been identified, also died. Deputy Flick leaves behind a wife and two children.